appreciating the beautiful scenery and enjoying communication with local people. You can join this gathering with your family, friends, or of course by yourself. 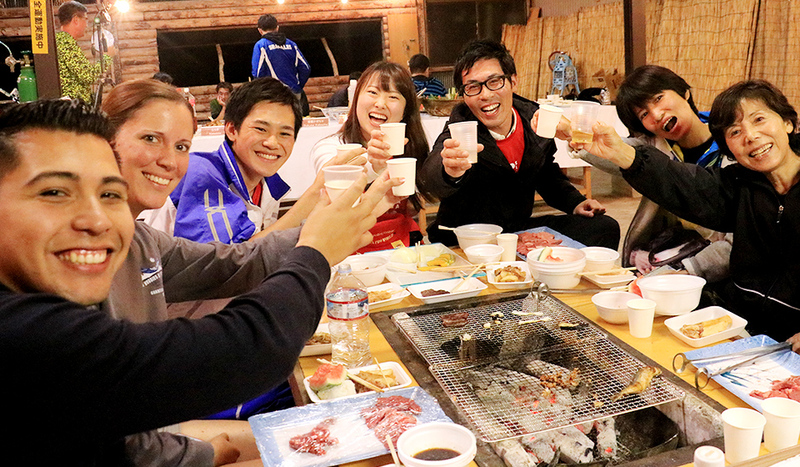 We are really looking forward to having more people involved in SATOYAMA RUN. 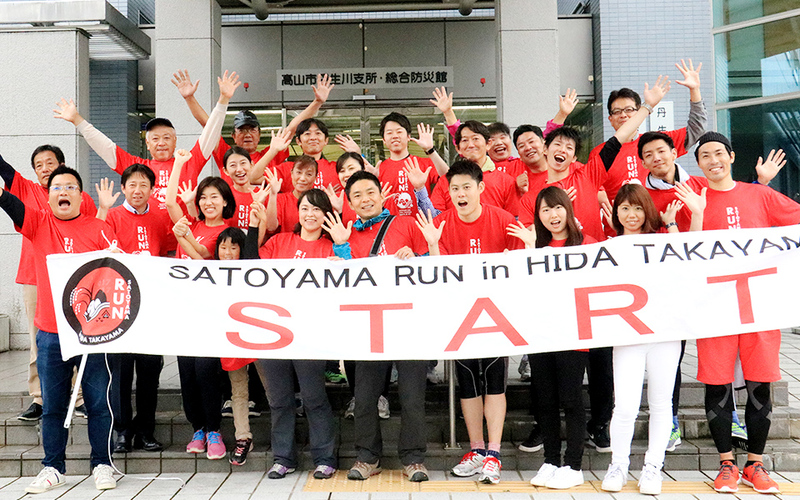 In this "Original Event SATOYAMA RUN in HIDA TAKAYAMA 2017", the participants are expected to decide various things intended for the first official marathon, happening next year. For example, the name of the official marathon cup, logo mark, method of measurement, methods of promoting the marathon cup or event, etc. 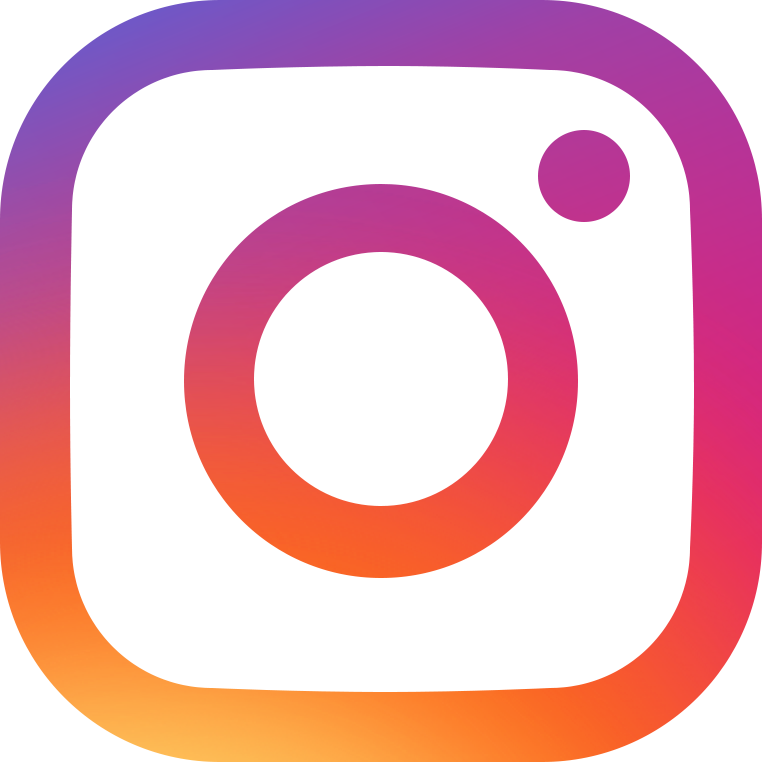 The ideas given from participants will establish the system of this marathon. Why don't you put your name on the very first page of this marathon’s history? Takayama city is rated three stars by the Michelin Green Guide Japan. 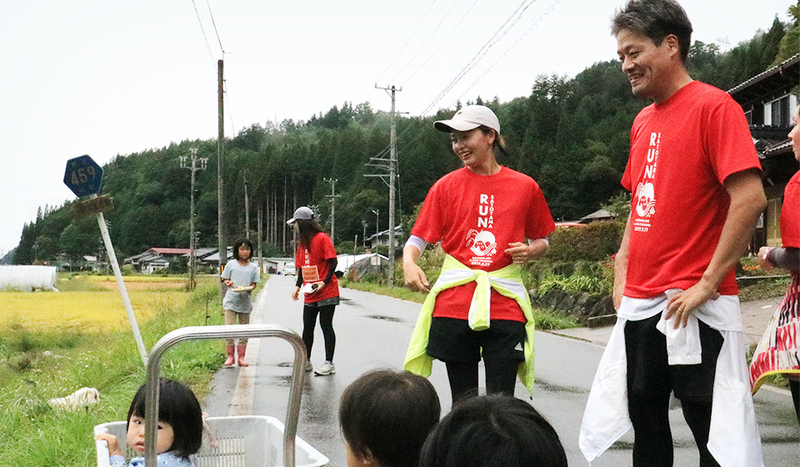 Not only the famous, preserved old town of Takayama city, Nyukawa, the marathon location, also has beautiful rural sceneries and warm-hearted local people. Let this delightful region be the world-wide gathering spot! Of course it is usually forbidden to have an event like The Eve Party on the night before marathon day. But we’re doing it anyway! We believe this marathon gathering is a chance for world-wide communication. By meeting with local people, you may learn about a different way of life, or culture and history. We would like to offer such an opportunity to everyone. The Nyukawa region where the marathon takes place is called City of Salad. The local specialties, tomatoes and spinach, just picked from the farm, are going to be served at the The Eve Party and also at the aid stations. 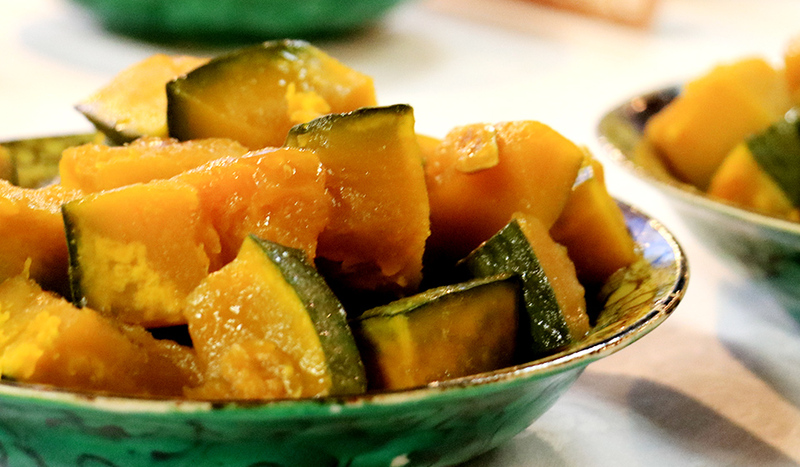 Fully enjoy the fresh taste of vegetables which you may not be able to appreciate in the big cities.